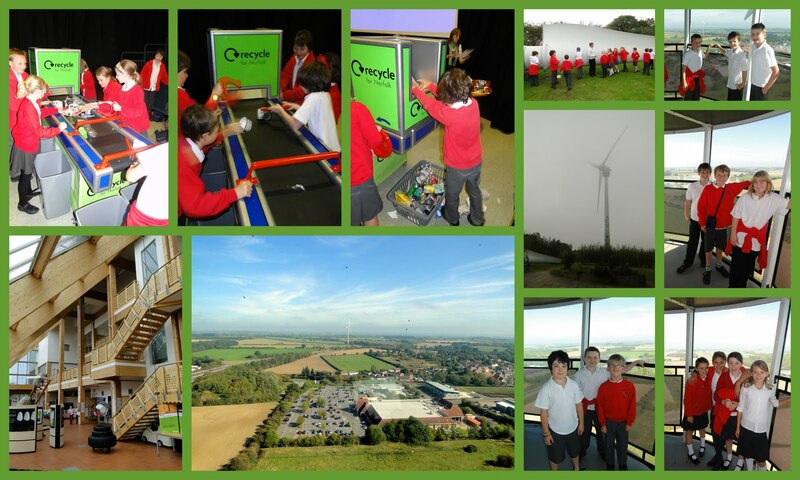 Today, Blue class visited the EcoTech Centre in Swaffham. The children were welcomed with a short video explaining how power has traditionally been produced and some of the ways in which more sustainable alternatives are being sought. The children then split into two groups. They each took part in a recycling activity in which they had to sort a variety of different types of waste into the correct containers -something which proved more difficult than it first seemed. The other morning activity involved a tour around the Eco-Centre building where they learnt about the importance of using sustainable materials in its construction. After a short break for lunch, we had the exciting opportunity of climbing to the top of the world's only publicly accessible wind turbine. This meant a climb of some 305 steps, but the view from the top was well worth the effort. The children learnt that a single turbine of the type they climbed was capable of providing power for over 1000 homes. We were surprised by how quiet the turbine was. Even standing right beneath it, the noise from the road several hundred yards away was far louder than the occasional gentle swish of the majestic turbine blades. The children also had the chance to build their own model wind turbine and test it using a fan. 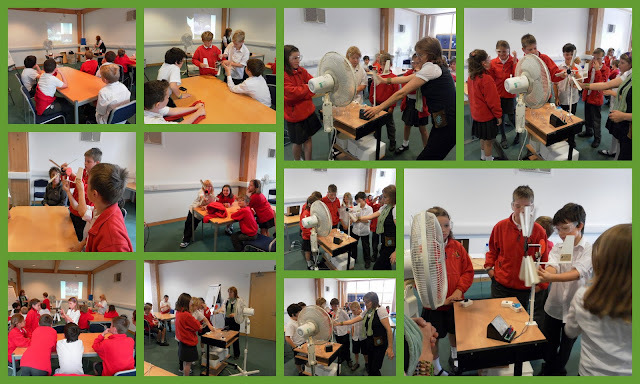 They experimented to see which configuration of turbine blades could generate the highest power output. Everyone had an enjoyable day, and my only regret is that we didn't have longer to spend there. Sounds like a fantastic day - I'm only sorry I was unable to join you. Having spoken to many of you on returning, it appears that you had a great time and enjoyed some memorable experiences.